The warm weather is here, which means it’s time to get outside for barbecues, drinks, races, and concerts. Whether it’s hip-hop, alternative rock, or country, you’ll find it at Indianapolis’ myriad outdoor festivals and venues. With so many options to choose from, we curated this list of the best upcoming shows to help you plan your summer music calendar. Sam Hunt This country singer-songwriter has had a charmed musical career for a guy who originally planned to play pro football. 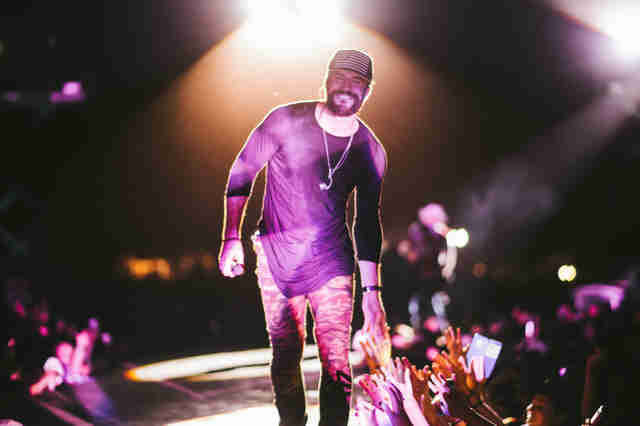 Sam Hunt Klipsch Music Center This country singer-songwriter has had a charmed musical career for a guy who originally planned to play pro football. Future The current master of Auto-Tune (no offense, T-Pain) brings his “Nobody Safe Tour” to town, with Migos, Tory Lanez, and Zoey Dollaz supporting. 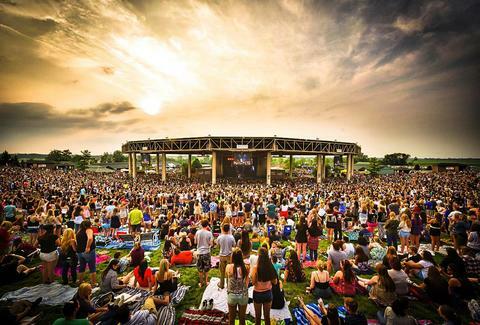 Future Klipsch Music Center The current master of Auto-Tune (no offense, T-Pain) brings his “Nobody Safe Tour” to town, with Migos, Tory Lanez, and Zoey Dollaz supporting. Vintage Indiana The music at this all-day wine festival includes local singer/songwriter Jennie DeVoe, who really should be a much bigger deal nationally. Vintage Indiana Military Park The music at this all-day wine festival includes local singer/songwriter Jennie DeVoe, who really should be a much bigger deal nationally. Huey Lewis and the News Lewis may be old news, but opener Jamie Kent is a fresh country voice. Huey Lewis and the News Farm Bureau Insurance Lawn at White River State Park Lewis may be old news, but opener Jamie Kent is a fresh country voice. Wilco The indie rock stalwarts are joined by the up-and-coming Saskatchewan folk duo Kacy and Clayton. Wilco Farm Bureau Insurance Lawn at White River State Park The indie rock stalwarts are joined by the up-and-coming Saskatchewan folk duo Kacy and Clayton. Chris Stapleton The chart-topping, Grammy-winning singer-songwriter is here in support 2017’s acclaimed From A Room: Volume 1. Chris Stapleton Klipsch Music Center The chart-topping, Grammy-winning singer-songwriter is here in support 2017’s acclaimed From A Room: Volume 1. WTTS Rock on the River Jam with The Revivalists, Robert Randolph and the Family Band, and the Marcus King Band. WTTS Rock on the River Farm Bureau Insurance Lawn at White River State Park Jam with The Revivalists, Robert Randolph and the Family Band, and the Marcus King Band. Dispatch, Guster, and Esme Patterson Dispatch built a cult following thanks to the Napster era, and the fans still keep turning out en masse. Dispatch, Guster, and Esme Patterson Farm Bureau Insurance Lawn at White River State Park Dispatch built a cult following thanks to the Napster era, and the fans still keep turning out en masse. Train The band is supporting its 10th album, A Girl, a Bottle, a Boat. Train Klipsch Music Center The band is supporting its 10th album, A Girl, a Bottle, a Boat. Dirty Heads, SOJA, The Green, and RDGLDGRN Get ready for an evening of hip-hop and reggae fusion. Dirty Heads, SOJA, The Green, and RDGLDGRN Farm Bureau Insurance Lawn at White River State Park Get ready for an evening of hip-hop and reggae fusion. Lady Antebellum The award-winning country group is back with enough hits to fill a pickup. 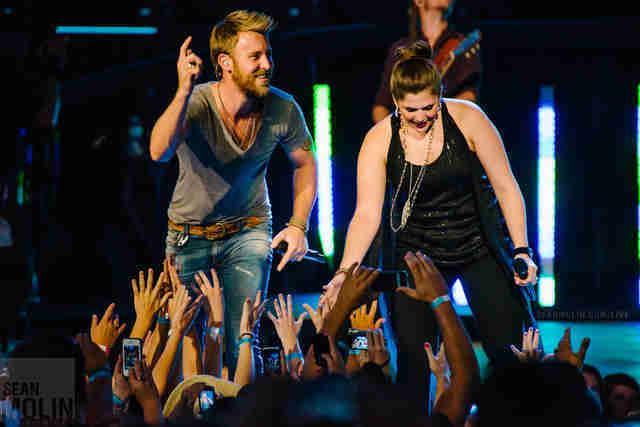 Lady Antebellum Klipsch Music Center The award-winning country group is back with enough hits to fill a pickup. John Williams Strikes Back The Indianapolis Symphony Orchestra performs the Star Wars score and a bunch of other of soundtrack favorites. John Williams Strikes Back Conner Prairie Amphitheatre The Indianapolis Symphony Orchestra performs the Star Wars score and a bunch of other of soundtrack favorites. Tedeschi Trucks Band This Grammy-winning blues act is joined by Hot Tuna, the duo featuring former Jefferson Airplane members Jorma Kaukonen and Jack Casady. Tedeschi Trucks Band Farm Bureau Insurance Lawn at White River State Park This Grammy-winning blues act is joined by Hot Tuna, the duo featuring former Jefferson Airplane members Jorma Kaukonen and Jack Casady. Vans Warped Tour Spend the day with GWAR, Anti-Flag, Bad Omens, Silent Planet, Knocked Loose, and dozens more. Vans Warped Tour Klipsch Music Center Spend the day with GWAR, Anti-Flag, Bad Omens, Silent Planet, Knocked Loose, and dozens more. Brickyard 400 Fest The Chainsmokers and Major Lazer headline two nights of pre-Brickyard 400 shows. Brickyard 400 Fest Indianapolis Motor Speedway The Chainsmokers and Major Lazer headline two nights of pre-Brickyard 400 shows. Umphrey’s McGee South Bend’s favorite jam band brings its improvisational sets and open taping policy to Indy. Umphrey’s McGee Farm Bureau Insurance Lawn at White River State Park South Bend’s favorite jam band brings its improvisational sets and open taping policy to Indy. Journey Old-school stadium rock, with special guest Asia. Journey Klipsch Music Center Old-school stadium rock, with special guest Asia. Goo Goo Dolls “The Last Hot Night in America” is probably the best name for a summer tour this year. Goo Goo Dolls Farm Bureau Insurance Lawn at White River State Park “The Last Hot Night in America” is probably the best name for a summer tour this year. Korn Stone Sour and Yelawolf support on the oddly named “Serenity of Summer” tour. Korn Klipsch Music Center Stone Sour and Yelawolf support on the oddly named “Serenity of Summer” tour. Incubus, Jimmy Eat World The alt-rock acts are still going strong after a couple decades. Incubus, Jimmy Eat World Klipsch Music Center The alt-rock acts are still going strong after a couple decades. Retro Futura Tour From “The Safety Dance” to “I Melt With You,” this show will deliver plenty of ‘80s hits with a lineup of Howard Jones, The English Beat, Paul Young, Men Without Hats, Katrina, and Modern English. Retro Futura Tour Farm Bureau Insurance Lawn at White River State Park From “The Safety Dance” to “I Melt With You,” this show will deliver plenty of ‘80s hits with a lineup of Howard Jones, The English Beat, Paul Young, Men Without Hats, Katrina, and Modern English. 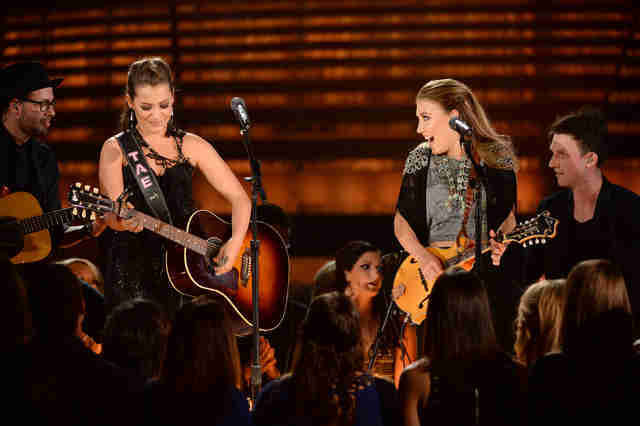 Maddie and Tae A blast of country from the young stars in the middle of the city. Maddie and Tae Farm Bureau Insurance Lawn at White River State Park A blast of country from the young stars in the middle of the city. Gov’t Mule, Galactic The “Revolution Come … Revolution Go Tour” visits Indy with some political-minded jams. Gov’t Mule, Galactic Farm Bureau Insurance Lawn at White River State Park The “Revolution Come … Revolution Go Tour” visits Indy with some political-minded jams. Logic Logic’s supporting his critically acclaimed album, Everybody, with Joey Bada$$ and Big Lenbo opening. Logic Farm Bureau Insurance Lawn at White River State Park Logic’s supporting his critically acclaimed album, Everybody, with Joey Bada$$ and Big Lenbo opening. 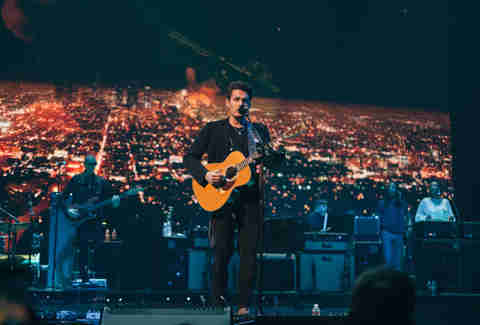 John Mayer When you play guitar this well, you get all the girls. John Mayer Klipsch Music Center When you play guitar this well, you get all the girls. Flaming Lip, Mac DeMarco The Lips know how to put on a show. Be prepared for lots of costumes, confetti, and plenty of special effects. Flaming Lip, Mac DeMarco Farm Bureau Insurance Lawn at White River State Park The Lips know how to put on a show. Be prepared for lots of costumes, confetti, and plenty of special effects. Sam Stall lives and writes in Indianapolis. Look for him at the July 22 Umphrey’s McGee show.